Gerry Hester - Immigration Consultant, Tullamore, Co. Offaly, Ireland. Have you been resident in Ireland for over 5 years? "Long Term Residency" or "Irish Citizenship through Naturalisation". I can quickly calculate your “Reckonable Residency” which will fast track your application. There will be less chance of the application being returned for clarifications which can add months to a Department decision. Are you married to an EU Citizen? If so, you may be entitled to EU Treaty Rights. I can assess your situation quickly and complete your forms for a speedier conclusion to your applications. Parent of an Irish Child, or any other Immigration problems. ﻿ Are you interested in coming to Ireland to study? I will assist you with your college registration here in Ireland and also in obtaining your student Visa. Contact me- Gerry Hester Immigration Consultant. Completing official forms and applications can be very difficult. As an Former Immigration Officer I am only too aware of the problems that Immigrants face when completing applications for the different Government Departments. Firstly, in knowing what they are entitled to and secondly, in trying to overcome the language barrier to complete these forms correctly. 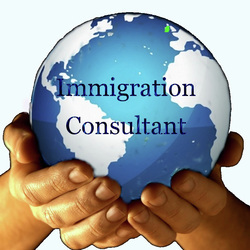 From my experience in Immigration I can help and guide you through the various difficulties and hopefully bring your application to a speedy and successful conclusion. It could be the best decision you have made since coming to Ireland.